아줌마 and 아주머니 are commonly used to refer to an older woman that you don’t know the name of, or even do know the name of but aren’t close enough to call her by her name. This also extends to older women who work in a restaurant. 제가 산 물건을 언제 받을 수 있어요? = When can I receive the goods I purchased? 최종목적지가 어디예요? = Where is your final destination? 어느 동네에서 살아요? = Which neighborhood do you live in? 이 동네에서 산 지 얼마나 되었어요? = How long have you lived in this neighborhood for? 학비를 언제까지 내야 돼요? = Until when do I have to pay my tuition? 정답을 안다면 손을 들어! = If you know the correct answer, raise your hand! 축구 경기를 내일 보러 갈래요? = Shall we go to see a soccer game tomorrow? Notes: In English, we call athletes who play game-like sports “players.” For example, a basketball “player.” However, other athletes are not called “players,” for example, it would be unnatural to call a swimmer a “swimming player.” In Korean, the word 선수 is used to refer to any athlete of any sport. Notes: This word translates to “life” but is usually used when one ‘loses,’ ‘saves,’ or ‘dedicates’ a life. Notes: When talking about the moons of other planets, the word “위성” (which typically translates to “satellite”) is used. 밖이 너무 추워요 = It’s so cold outside! Notes: As you can see, there are many possible translations for this word. It generally refers to the action of “cutting” something. In English, depending on what you cut, the word might change. 머리를 깎았어요? = Did you get a haircut? 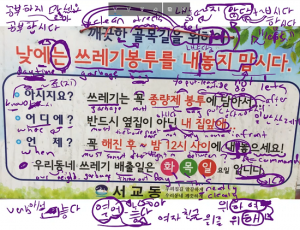 Notes: The original word for “to ask” is 묻다, but it is much more commonly used as “물어보다,” which puts a spin on the meaning of the word to “to try to ask about” (the grammar of adding ~아/어보다 to a verb is introduced in Lesson 32). To prevent confusion between “묻다” (to ask) and “물다” (to bite), Korean people often use “물어보다” to mean “to ask.” Whether or not this is the actual reason why 물어보다 is used instead of 묻다, I can’t be sure – but I’ve always remembered this explanation. Notes: When answering a letter or e-mail, the word “답장하다” is more commonly used. 몇 개 남아요? = How many are left? 몇 개 남았어요? = How many are left? 몇 개 남아 있어요? = How many are left? Notes: Although “영업” is a word by itself (which is one meaning of the word “business”), for a beginner of Korean the most common place you will see this word is as “영업 시간,” which refers to the time that a business is in operation during the day. You would most likely see this written on a sign outside of a store/restaurant or any type of business to indicate their hours. Okay, it is time to kick it up a notch. Most of what you learned in Unit 1 was taught simply to be a foundation to what you will learn here in Unit 2 (and later in Units 3, 4, 5 etc…). 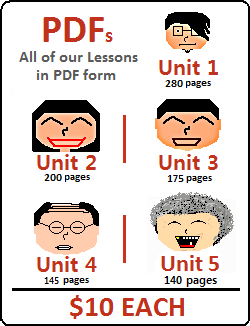 Of course, the content you learned in Unit 1 was very important (foundations are important) but here in Unit 2 it will be slightly different. When learning Korean, you eventually reach a point where the only thing you are learning is other ways to end sentences. There are hundreds upon hundreds of different things that you can add to the end of sentences (to end them or to connect them to other sentences) to give a sentence a different meaning. I’m not going to lie: most of what you will learn from here on out (aside from vocabulary) will be these sentence enders/connectors. Not today, though. Today you will learn the most important aspect (in my mind) of Korean grammar. It took me months to fully grasp this concept – but not because it is terribly difficult, but rather because I did not have good enough explanations when learning it. That is why I am here. I am going to break down this concept for you like crazy – spanning four lessons. I am talking, of course, of ~는 것. Understanding this concept will literally make your ability to create sentences increase dramatically. Lets get started. This lesson is long. Very long. Please read the entire lesson to fully understand everything. If something is confusing, it will more than likely be resolved later in the lesson. But, what you don’t know is that verbs can also describe nouns in this same way. It is the exact same premise with adjectives, but it is very difficult for English speakers to understand. In those three examples, “that” was added, and each example essentially has the same meaning as when “who” was written instead. You don’t need to worry about if it should be “who/that” or whatever because you are not learning English – you are learning Korean. The point I am trying to get at here is that verbs can also describe nouns. In English, verbs are placed after the nouns to describe them. In Korean, verbs are placed before nouns to describe them – very similar to how it is done with adjectives. How is this done? Like this:? Are those correct? Haha. No. Not by a long shot. When you adjust adjectives to describe nouns, you know that you should add ~ㄴ/은 to the stem of the word. That is a good question. Really, you would never (or very rarely) say something like that in a sentence – but understanding that sentence is the foundation for understanding everything else about ~는 것. Okay, so what’s the point? When would I ever want to say “The girl who walks fast”? You have been doing the exact same things with adjectives since Lesson 4. The three sentences above include a noun that is being described by an adjective. The three sentences above include a noun that is being described by a verb. Actually, I feel like this is getting a little bit too complicated. I want to break this down one more time. Simple enough. Subject – place – verb. Incredibly complicated at first, incredibly simple once you get the hang of it. The only problem is that it is difficult for English speakers to get used to because we describe a noun with a verb after the noun. Anyways, enough of what Korean people say. I’m going to say this one more time. Read it a few times to make sure you understand it completely (it is complicated). The noun that you create by describing it with a verb can be placed anywhere that other nouns can be placed! .. okay, I think you get it. But what about the past tense? I talk about how ~ㄴ/은 is used to describe an upcoming noun in this Korean Sign Explanation video. In both of the sentences above, the ~을 attached to the verb is performing the same function – in that it is describing the upcoming noun. In theory, the full sentence (저는 밥을 먹을 것이에요) could translate to “I am a thing that will eat rice.” However, it would never be translated like that because when ~ㄹ/을 것이다 is used at the end of a sentence, it is usually done to create the future tense conjugation that would translate to “one will do…” This isn’t imperative to your understanding, but it is good to recognize that ~ㄹ/을 has the same function in both of these types of sentences – which is describing the noun in-front of it. 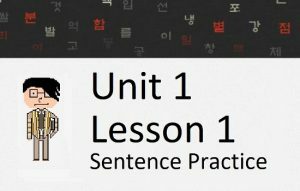 There are many instances of a Korean grammatical principle having different English translations depending on the type of sentence it is used in. There might be one thing in Korean that represents many meanings in English, and there might be one thing in English that represents many meanings in Korean. Try to step out of the “English box” and understand that two vastly different languages will have very little similarities. So why is the grammar concept called “~는 것”? Why on earth would I want to change a sentence into a noun? I want my friend to bring apples. How can you say “my friend brings apples” in Korean? This is very hard to translate into English. 것 means “thing.” The rest of it is an adjective describing that “thing.” If I had to translate it, I would say “the thing of my friend bringing apples.”.. but, again, it cannot really be translated. I didn’t realize this when I first learned this grammar concept. In almost every sentence you will ever say, you need to put this concept into use – whether you realize it or not. Below are many more examples of a verb (with a clause before it) describing a noun being used in sentences. 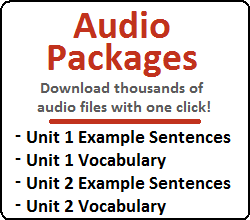 The following sentences specifically use the vocabulary that is introduced at the beginning of this lesson. In addition, these sentences are slightly more complex than the simple sentences I have used to describe the ~는 것 concept up until this point. Just one more quick note specifically about translating from English to Korean or vice-versa. Translations are often ambiguous from English to Korean, so you don’t need to worry about this too much. In terms of Korean grammar, the purpose of ~는 것 in all of these types of sentences (i.e. whether it is being used to describe a noun or used to turn a clause into a noun) is the same. However, in English these look like entirely different sentences. Again, translations are often confusing and ambiguous. You don’t necessarily need to worry about the different types of English translations. What is more important is that you understand the Korean grammar presented here. That’s it for this lesson, but in the next 3 – 4 lessons I will be going deeper and deeper into the ~는 것 grammar concept. This first lesson should give you a good first step.